This has been the year of the It dress, with polka-dot midis and floral tea dresses more likely to have a waiting list in 2018 than any designer handbag. We're about to be reacquainted with our tights and ankle boots, but that doesn't mean the dress hype is about to slow down. 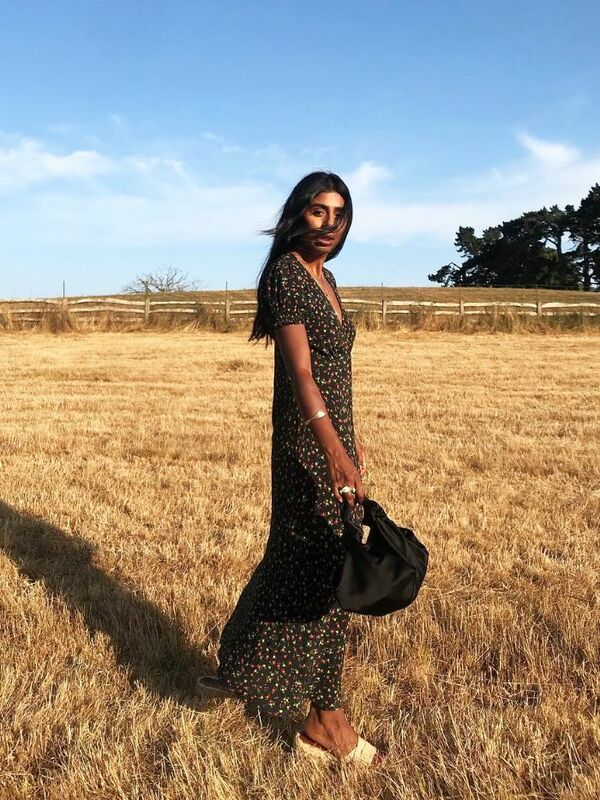 The autumn collections that have just landed and feature many a potential newcomer to the existing lineup: There's Nanushka's polka-dot ankle-skimming maxi, a whimsical powder-blue tulle number from Ganni and a vibrant leopard-printed beauty from Ghost. I tried on the five dresses destined for It dress status this autumn—keep scrolling for my take on the dresses worth investing in. 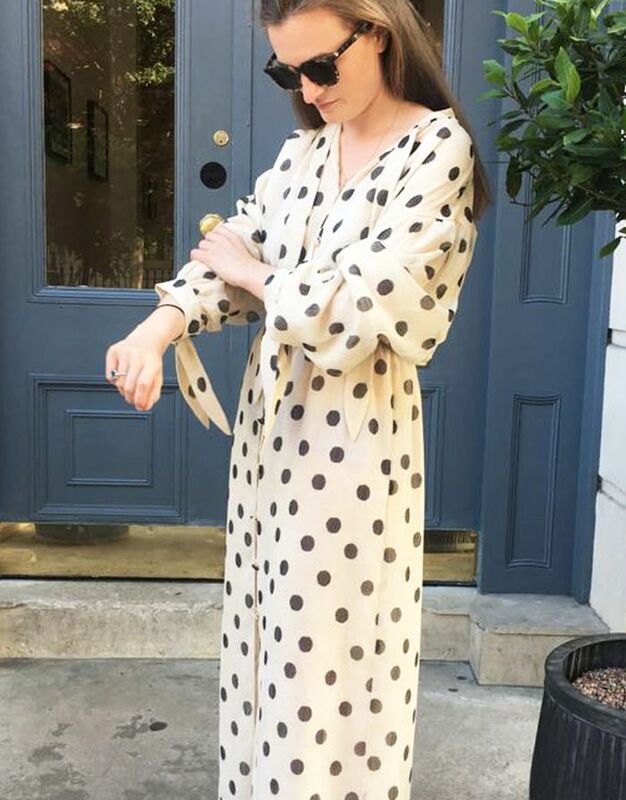 A cream polka-dot dress might not seem super autumnal, but the fabric is heavier than it looks, making it perfect to pair with boots and a chunky cardigan well into winter. This dress only went online last week, but it has already been worn by a handful of influencers. If you've looked at street style pictures from New York Fashion Week, chances are you've seen the latest It dress from Ganni. With the Cinderella-blue colour, layers of tulle, and embellished beads and flowers, this feels like a true princess dress. Ghost has had a total overhaul over the last 12 months, and this dress is perhaps my favourite of all the styles I tried on. Animal-printed dresses might have invaded the high street, but this one feels truly different from the rest thanks to the vibrant pink colour. The fabric feels really luxurious and doesn’t crease. I bought it straight away! This Rejina Pyo dress, available at Browns Fashion, is the most autumnal of my selection, and I love the back-to-school vibe of the silhouette and school uniform–style check. It's a perfect everyday dress, as you can layer it over knitwear and T-shirts. London-based label Borgo de Nor is a new name in the industry, and it has quickly become a go-to for beautiful prints and flattering silhouettes. The perfect dress for any wedding dresses. Next up, see our guide to the biggest trends for autumn/winter 2018.